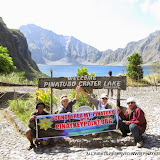 Pinatubo Trips are available everyday, January to December except for the time that Pinatubo is closed due to bad weather, private events and Balikatan Joint Military Exercises. Advisory for any closure is sent to all licensed and accredited Pinatubo Tour Operators. 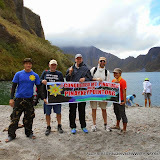 Mount Pinatubo trekking is only for people who are physically fit. Do not book if you have heart ailment, asthma, walking difficulty, foot brace or any illness that might be triggered by dust and exhaustion. Swimming at the crater is strictly prohibited because of it's uncertain depth and there is no standby life guard in the area. 40 years old and up will undergo mandatory blood pressure test at Capas Tourism Office on the actual tour date prior to final clearance and dispatching. 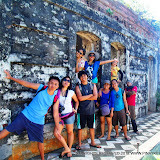 You will be accompanied by the assigned staff from Pinaykeypoint Team. 60 years old and up are required to bring medical certificate from refutable medical institution certifying that they are physically fit to participate in this activity. Travel Insurance is also accepted. Please bring a copy and present it to DOT staff on the actual tour date. Kids 5 years old and below are free but we only allow 1 free kid per jeep. The rest will be charged as full payment. Please note that you are liable for your child's safety so ensure that they are physically fit. This is in compliance from Capas Tourism Policy. You are required to sign waiver and quitclaim form at Capas Tourism Satellite Office prior to climb. You will be accompanied by your guide. 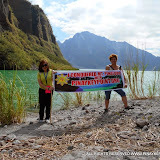 The grounds of Mount Pinatubo is not a public ground even prior to its eruption. It is a target range that is controlled by Philippine Air Force. They are enforcing cut-off time so we won't hamper military exercises, drills and activities. The ground is also used for Balikatan Joint Military Exercises and may result to closure and cancellation of trips. On regular basis, we must pass through military checkpoint not later than 7 AM. On special occasion, we are also required for a very early cut-off time. 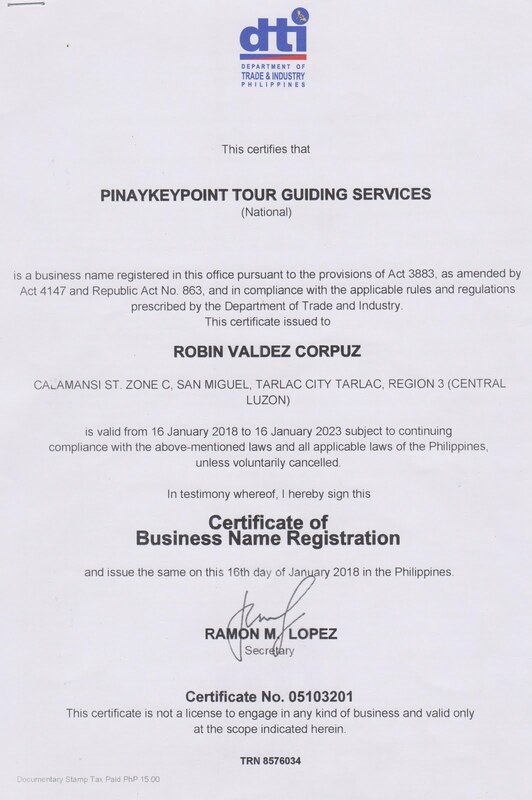 Licensed and Accredited Tour Operators Receive advisories from Capas Local Tourism for any closure and cut off time. Please ensure that you are dealing with licensed tour operators to avoid scams. To book your trip, please fill up and submit a completed online form below. 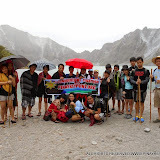 We are organizing PINATUBO Trips everyday, January to December for the past 10 years except only for the days that Pinatubo is closed by the local government due to any reason. We receive advisory prior to any closure. Public Tour is only available if we have special events and gift giving activities. You must bring your own car to reach this area, roughly 2.5 hours drive from Manila, 2 hours from Subic, 5 hours from Baguio and 1 hour from Clark, Angeles. We will provide maps and driving direction. If you will use public transport from Manila, you must ride the 2:30AM trip, Victory Liner Pasay and 3AM trip Victory Liner Cubao. Drop off point is Mc Donalds Capas Junction. You will rent a Trike (single motorbike with side car good for 3pax) or a public utility jeep to reach the 4x4 jump off point. Our staff will meet you at the bus jump off point to assist you if you have a prior arrangement with us. We do not accept walk-ins from July until the end of rainy season because trips are weather dependent. This trip is available everyday, January to December except when Pinatubo is closed due to bad weather and private events. We are a licensed organizer and we receive advisories for any closure. Please note that the rate varies depending upon your total headcount because your group will just share the total trip cost. 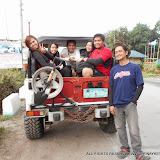 Each 4x4 jeep loads a maximum of 5 tourists, guide and driver. If you will book for a group of 6pax, this means that the group will be using another jeep and the rates of additional 1pax is not enough to rent another jeep and guide. Please note that Pick up point must be at any place or home address within the vicinity of Metro Manila, near EDSA and will not incur toll fees, parking fee, entrance fee and airport fee to reach your area. On a case to case basis, you can make special arrangement for pick up outside Manila and add/shoulder the additional cost for gas and toll but you must call or email us so we can discuss this with our drivers. Please note that Pick up point must be at any place or home address within the vicinity of Bulacan only and will not incur fees such as parking fee, entrance fee etc. to reach your place. If you are not sure, you can contact us so we can discuss your concern to our driver. Pick up point at any place or home address within the vicinity of Clark and Angeles City only. On a case to case basis, you can make special arrangement for pick up point that is not within the vicinity of Angeles by adding and extra cost but you must call or email us so we can discuss this with our drivers. EMAIL US FOR PARTNERSHIP AND CONTRACTED RATES. 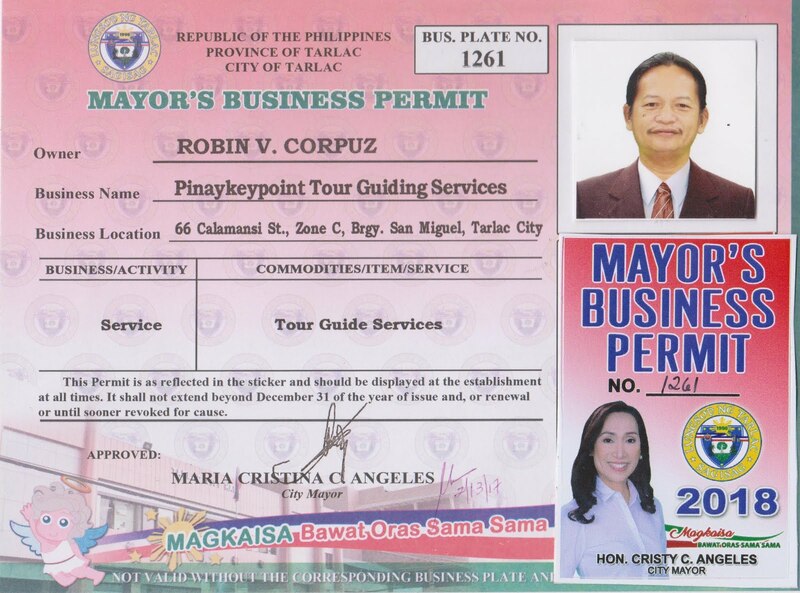 WE ONLY ACCEPT LEGITIMATE ORGANIZATIONS WITH LEGAL AND UPDATED BUSINESS PERMITS. 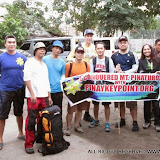 We are the PINAYKEYPOINT TEAM, We work with PASSION & RESPECT and PROMOTE our MOTHERLAND PHILIPPINES. Our PRIDE is our PEOPLE with TEAM WORK and SKILL. We are COMMITTED to DELIVER an EXCELLENT SERVICE. If you want to pay using your credit card, just choose PaYPal in your Payment Option when you fill up and submit a completed Online booking form. Part of the proceeds of our Trekking Activities are used to support our advocacy. When you booked your trip with us, you also helped the Aeta community at the grounds of Mount Pinatubo. Some of our clients go back not to trek but to join our village immersion programs and to feel the priceless happiness of giving by sharing ourselves, our precious time and our wealth. IF YOU ARE A GROUP, COMPANY, SCHOOL OR INSTITUTION THAT WOULD LIKE TO ORGANIZE THIS KIND OF ACTIVITY, WE CAN ORGANIZE THIS FOR YOU ANYTIME. JUST EMAIL US! Click the above photo to view some of our activities. YOU MAY CLICK EACH THUMBNAIL PHOTOS TO VIEW THE TREK PHOTOS SHARED BY OUR CLIENTS. 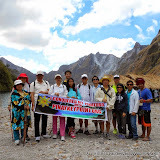 IF YOU WANT YOUR PHOTOS TO BE POSTED IN OUR WEBSITE, PLEASE EMAIL AND SEND US YOUR MOUNT PINATUBO TREK PHOTOS WITH YOUR TREK DATE AND PREFERRED ALBUM NAME. THANK YOU FOR BOOKING YOUR TRIP WITH US! IF YOU ARE A JOINER, THIS WILL DEPEND IF THERE IS AN AVAILABLE SLOT. POOLING OF PASSENGERS FOR PUBLIC TOURS REQUIRES TIME. PLEASE REFRAIN FROM SHORT NOTICE BOOKING. 1. Capas Municipal Tourism Accredited Tour Operator with DTI and Business Permit. 2. 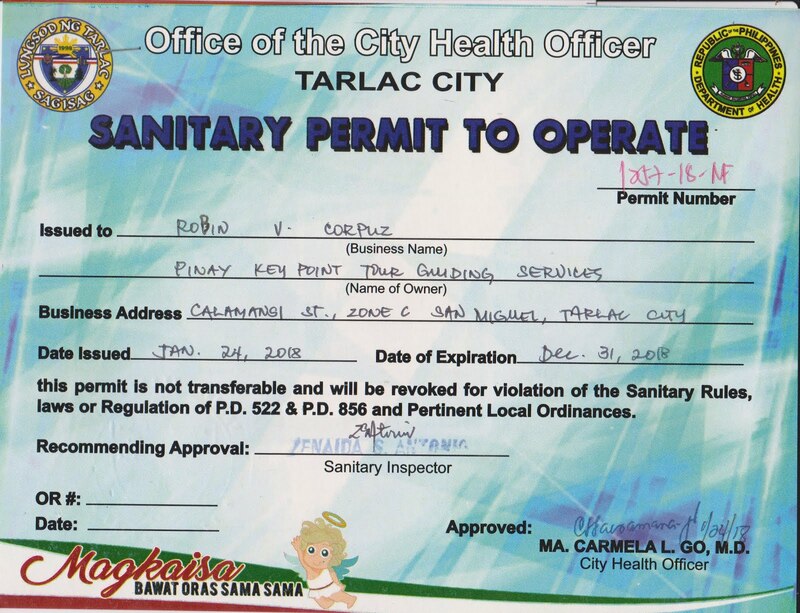 With Satellite offices at San Miguel, Tarlac City and Sta. Juliana, Capas Tarlac. Your reservation payment is safe with us and official receipt is also issued to all clients. 3. 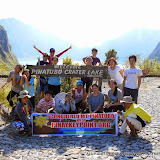 Pinaykeypoint Team Head, Juliet Corpuz is also one of the current 5 Board of Directors and Vice president of Mount Pinatubo Tourism Organizers Association (MPTOA). This is as per MPTOA's recent election last July 29, 2016. 4. 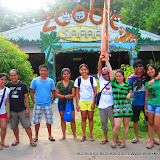 Pinaykeypoint Team has its own ENGLISH SPEAKING FIELD COORDINATORS aside from the local trail guides from Capas Tourism. They are assigned to clients and business partners that requires this skill. You are assured that you are well taken care of. 5. We are conducting safety briefing prior to dispatching. 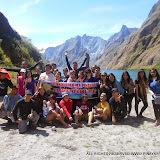 We also discuss facts and figures and important information about Mount Pinatubo, Indigenous people in the area and brief history and other related info about your trip. 6. No history of Major accidents. Pinaykeypoint Field coordinators has basic first aid kit for minor wounds and scratches. Has many years of experience in dealing with emergency and sudden weather disturbance. 7. We take care of the environment by Planting Trees. We already planted thousands of trees since we started this activity. We also remind tourists about proper garbage disposal in the area. 8. We conduct yearly Gift Giving Activity for the indigenous People (Aeta) of Mount Pinatubo. Part of the proceeds of our trekking activities are saved for this purpose. 9. We organize regular village immersions both for Indigenous People and Local Village, partnering with Barangay Captains and Aeta Chieftains, schools and organizations that supports our advocacy. 10. We are helping Aeta communities by providing vegetable seedlings, training for basic farming to be able to provide long term help. When you book with us, you are also helping the Aeta community. BELOW LINKS WERE ENDORSEMENTS, BLOGS AND WRITE UPS FROM OUR GUESTS. REVIEWS, FEEDBACK & BLOGS FROM OUR CLIENTS. ADD YOUR REVIEWS BY SENDING YOUR LINKS. YOU CAN JOIN OUR EVENTS & ACTIVITIES OR SUPPORT OUR ADVOCACY. 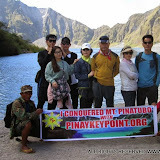 FOR PINAYKEYPOINT TEAM'S LATEST UPDATES, ADVISORIES, PROMOS, AVAILABLE SLOTS AND TREK SCHEDULES, FOLLOW US! Click the image to visit our Translation Website or contact us for more details. 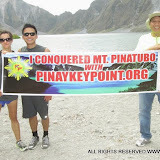 This website is designed and maintained by PINAYKEYPOINT TEAM with paid domain and hosted by Blogger.com. 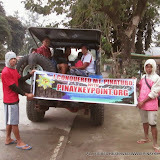 The posts and contents were originally written including pictures and local events which personally covered by Pinaykeypoint Team. Unauthorized printing, copying or use of our photos will be dealt accordingly. This website accepts paid advertising, sponsorship, paid blogpost, paid product review, donation or any form of gift in cash or in kind. 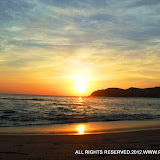 Links are welcome but the owner of this blog hold no responsibility beyond this site. This policy is valid from January 4, 2008 to present. 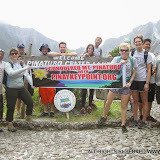 www.pinaykeypoint.org.All rights reserved. 2008-2019. Powered by Blogger.